Sulmona – You think you know confetti as this streams of shiny paper and glitter shot into the air every new years eve, right? Right. Well, as you can probably tell, confetti is an Italian word and what it really means is- confectionary. Yep, you got it, actually it has nothing to do with small pieces of paper. The Confetti of Sulmona is a typical confectionery specialty of the city of Sulmona in the province of L’Aquila where there is the oldest sweet factory in the world. The candy has an ancient history, it’s original manufacture dates back to the fifteenth century while it has evolved as an artistic work beginning from the same century. 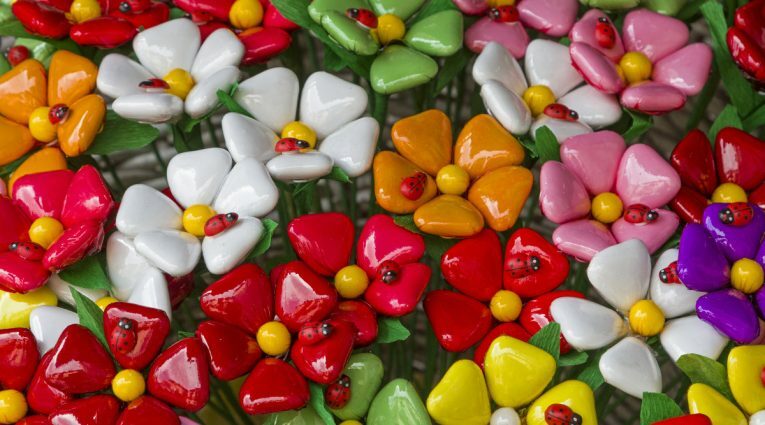 It is an almond covered candy, usually hard candy, made with almonds from Abruzzo. The Italian Ministry of Agricultural, Food and Forestry has included the confectionery product in Sulmona on the list of traditional Italian food products , recognizing it with the PAT mark. According to legends, the candy was produced as early as the Roman conquest in the Peligna valley (1st century BC). Certain sources, however, show that a small craft shop arose, in the fifteenth century, near the monastery of Santa Chiara , and that even the nuns were trained in this art. In the twentieth century, the confetto sulmonese goes through a period of decisive economic development, with the construction of many factories, among which the Pelino Factory stands out. On the occasion of the royal wedding of Prince William and Kate Middleton , the Pelino factory sent a special confetti package as a wedding gift. Since the 1960s, with the industrial production, the old factory has been abandoned for the construction of a major building for production of the candy. However, local policies have been able to preserve the tradition, together with the descendants Pelino, so that the historic factory, in addition to work, became a museum. There are various types of confetti sulmonesi, the most characteristic of which are formed by bouquets of colorful flowers, or daisies or poppies. In addition, each confetto of each bouquet has various types of taste, from chocolate to caramel, from apple to orange. There are also sculptures or various depictions of plants or anthropomorphs, commissioned by the client, or sculptures of confetti that recall the fantastic characters of cartoons.